- Zoom, cursor position, interactive information. Is also very useful for breaking the formatting of text copied from other apps. In fact, just copy and paste the text inside this app to have in memory the text "clean" from the formatting. Selecting the desired language, it will be recognized in the text. At the same time the text will be colored and the parts of code enabled the grouping will be indicated by the "boxtree" (squares with a plus and minus). This App is a great way to edit your project file without having to load each time the entire native frameworks. Quick and easy as opening a text file! Recently it has been included the ability to view images of the most common file formats. Selecting the desired language, it will be recognized in the text. At the same time the text will be colored. The parts of code enabled the folding will be indicated by the "boxtree" (squares with plus and minus symbols). This App is a great way to edit your project file without load each time the entire native frameworks. Quick and easy as opening a text file! Selecting the desired language will set the formatting of its text. Opening an existing file, when possible, the program will select the automatic language that you can still change later. Selecting the desired language, it will be recognized in the text. At the same time the text will be colored. After selecting the language the parties code-enabled grouping will be indicated by the "boxtree" (squares with a plus and minus). The project folder allows us to choose an operating system folder to keep always ready to upload files faster. In fact, after you select the folder you just double-click to switch between files. If the project folder is important to you can insert it in the favorite projects. The favorite projects allow us to upload project folders by double-clicking the list without having to select the folder from the computer. You may as well save you the most used projects and easily find them on this list. The advanced search allows you to search for text within the document or not considering the uppercase or lowercase letters. You can choose whether to consider that the search text is a whole word, and you can decide to continue the search from the beginning when you get to the end of the file. The search is done manually from time to time, or the entire document. This section also has the substitution feature. Bookmarks allow you to save points within the document so you can find parts of the text very easily. With a double click on the bookmark you'll find yourself immediately to the saved line. Each bookmark is displayed with a red box in the number line, and with the pink background in the text. All bookmarks will be stored on your computer and even closing the program as soon as the document is opened again, find yourself the previously saved bookmarks. 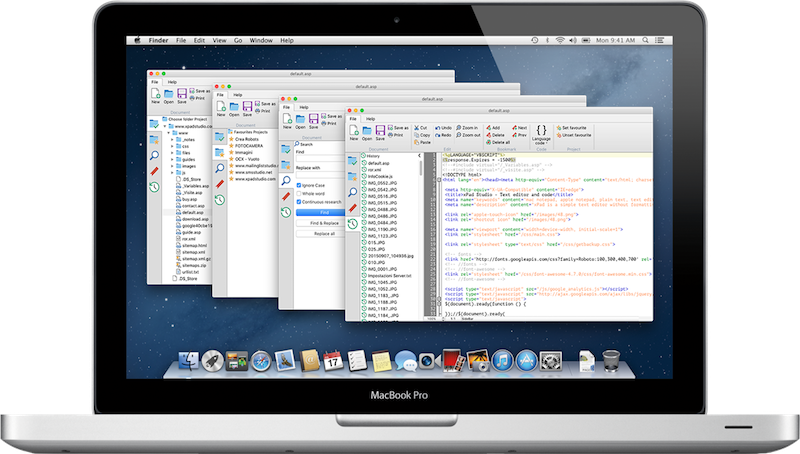 The timeline allows you to reopen documents used previously without having to look inside the computer. This feature is very useful when you frequently use the same documents and you need to open them quickly. Pausing over the icon of each file you can view an information box with the date last used, and path of the file. 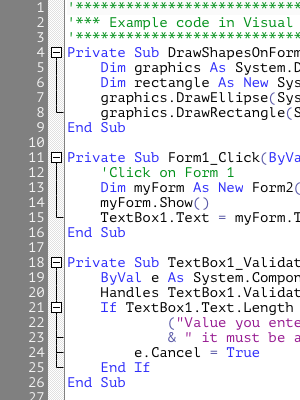 The numbering of the lines will help you better understand the position of the code within the file. Also useful for errors reported by various frameworks that indicate the type of error and the line number. If you're using a Mac you have the ability to zoom the text without change the default font. Copyright© 2001 - 2019 Pesaro System® - All rights reserved.